KATHERINE CARVER: What were your beginnings as a photographer and when did you realize it would become your chosen path and form of expression? HILDA GRAHNAT: I became interested in photography in high school, around the time when DSLRs were becoming affordable and almost every young girl I knew had one or wanted one. I took a summer job in a local photo store and at the end of the summer, I bought my first (discounted) DSLR. I took photos of anything and everything and shared them online; I wanted to document and share my world view. I started a blog as an incentive to take more photos in my daily life, and with increased readership I started receiving commission requests, and that made me start to think about making it my job. But it wasn’t until I had studied graphic design for a few years, that I realized that taking photos came more naturally to me — I was doing it so subconsciously. KATHERINE CARVER: How did your fascination with animals come about? HILDA GRAHNAT: I’ve always been an animal lover. If my father and brother hadn’t been allergic to fur, I’m sure my family would have had a cat or two, as we all love cats. But instead I befriend every cat I meet on the street, whether it’s in my own neighborhood, where I’ve adjusted the path of my evening walk, to the streets where the cuddliest cats live, or sneaking treats to restaurant cats when traveling abroad. I’m fascinated by how animals have as much personality as humans, with habits, quirks, favorites, and fears. 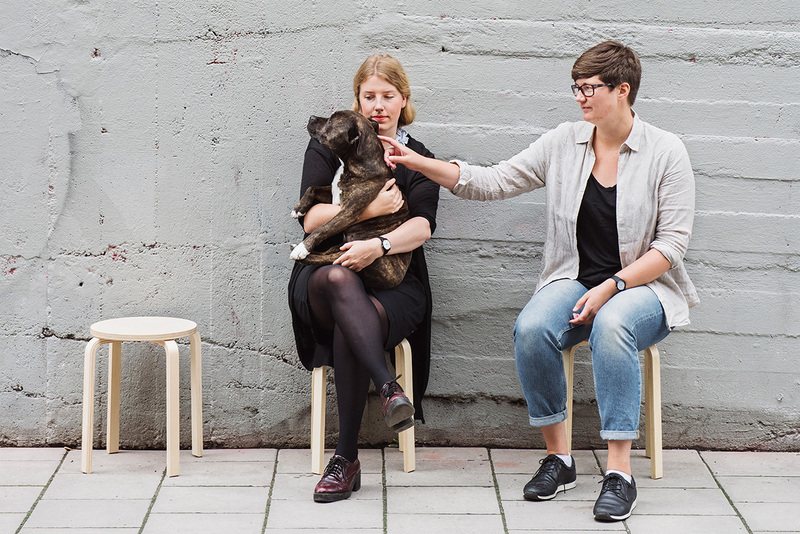 The relationship between pets and their people is something unique and it’s really wonderful to get to observe that firsthand through this project. 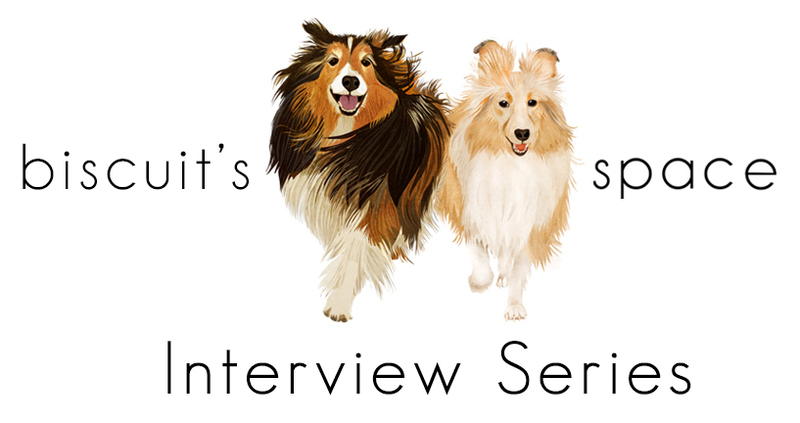 KATHERINE CARVER: What impetus that inspired you to begin Pet People Magazine with Linnea Paulsson? HILDA GRAHNAT: We had wanted to work together for a long time, and we’d talked about doing a pet related project as we are both true ‘pet people’ at heart. 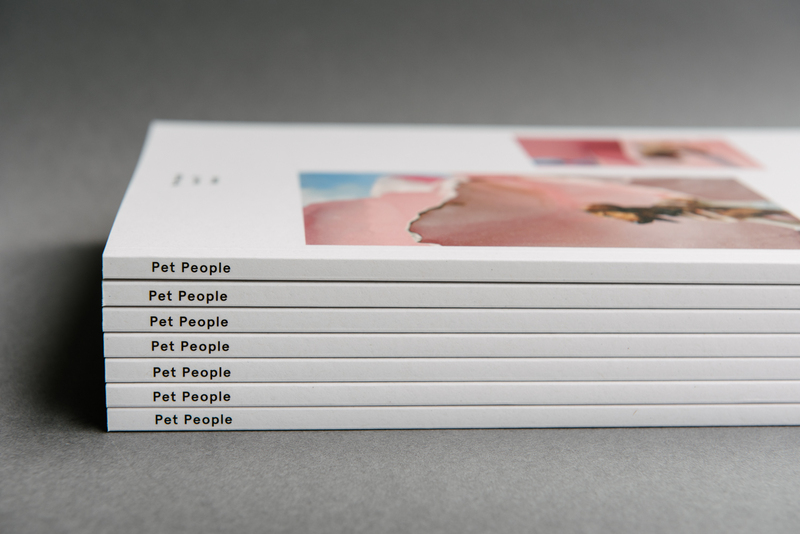 So we merged our mutual love for pets and print into Pet People! 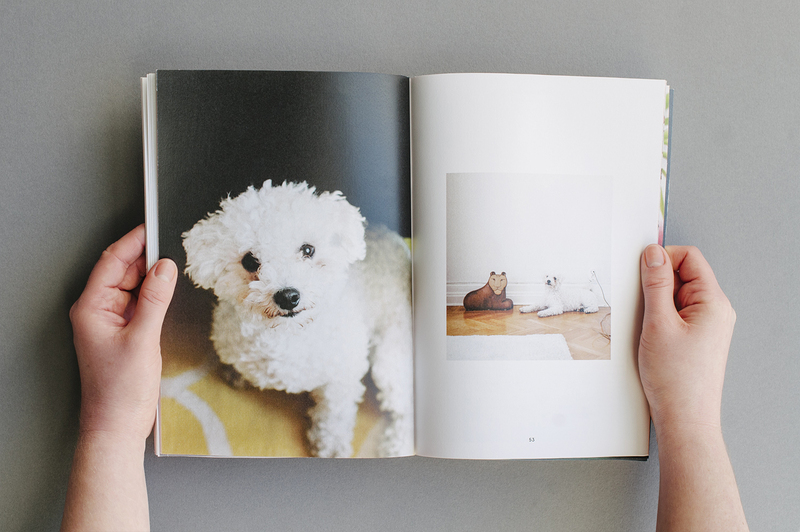 KATHERINE CARVER: How did you bring your vision of Pet People Magazine, a printed publication, to fruition? 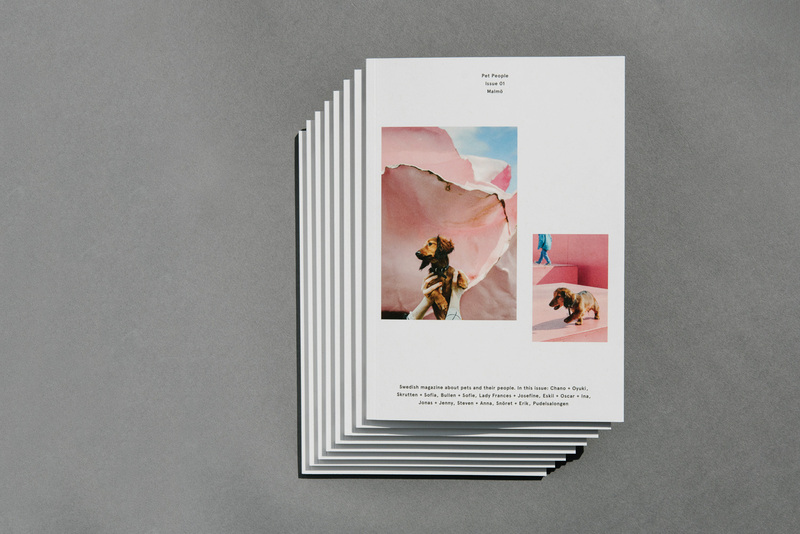 HILDA GRAHNAT: Our motto (coined by Linnea’s boyfriend Erik) is ‘make it ‘til you make it’ — we were curious to learn more about the independent magazine world and wanted to be a part of it, so we did! 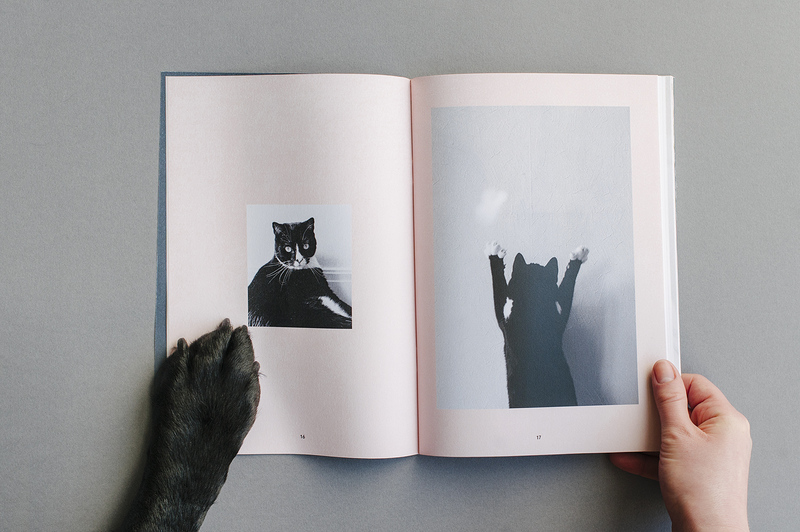 We knew nothing about making a magazine and distributing it before we created Pet People, but we learned through just doing it. We have financed, photographed, designed, printed, distributed, and promoted it all by ourselves. 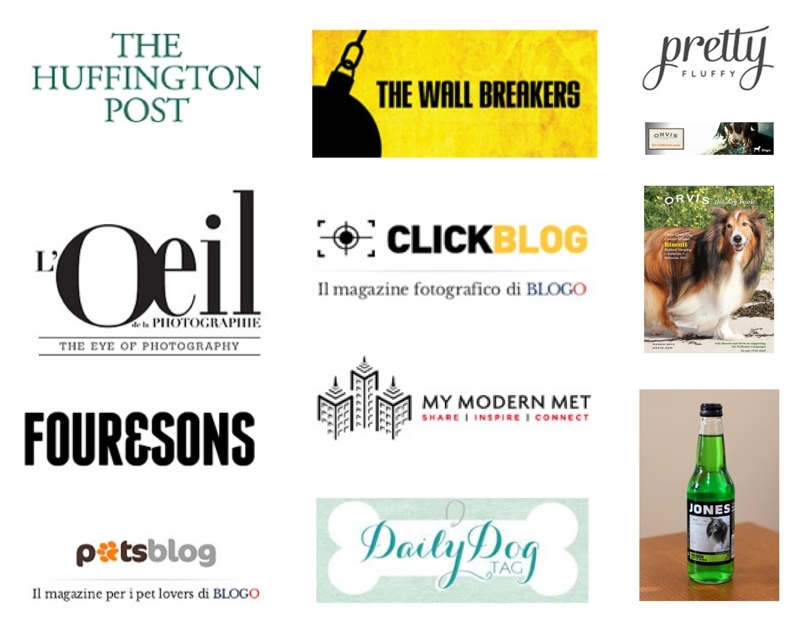 KATHERINE CARVER: How often will you create print editions for Pet People Magazine? HILDA GRAHNAT: Twice a year is our goal. Right now we are gearing up to make Issue 02. KATHERINE CARVER: What is the most challenging aspect of working on this publication? HILDA GRAHNAT: Finding good printing options, actually. We want to print locally and environmentally consciously, while still maintaining an affordable price, which seems to be a difficult combination to find. We also took a risk by financing the first issue by ourselves. Other than that, nothing in this project feels challenging but rather adventurous! HILDA GRAHNAT: Creativity for me is that urge to “make something” that you just can’t resist. I’m not good at making something out of nothing — I use what’s there to create something new. Photography is a way for me to be involved in things I am interested in and passionate about, and to share that with others through photos. HILDA GRAHNAT: I am driven by a wish to tell stories through my photos, about people or their handiwork, or places or shapes and objects and everything else I like. A lot of what I choose to photograph are things that I feel go unnoticed or are becoming obsolete and I want to preserve them in the present and for the future. I feel like I’m a part of a big creative community online, receiving feedback, and finding people who like what I do and sharing similar interests, which keeps me going. 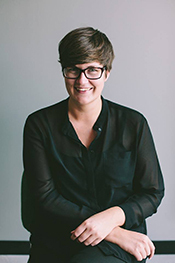 HILDA GRAHNAT: Working with people who share the same passion and vision, and making projects happen from start to finish as a team. I love when I get to be involved in the whole process, from idea through editing and designing to the final result. In personal projects, I love to work on my own and find satisfaction in creating a series or diptych that flows really well. Light/shadow, lines/shapes and composition are what get me going. HILDA GRAHNAT: As a child of the digital world, I’m more often inspired by single images than artists’ bodies of work. I use Instagram as my daily source of inspiration, and follow people from different creative fields, like: @cgbp; @heyraygun;@arielealasko;@carissagallo; @jimmymarble; @osmaharvilahti; @salvalopez; @helen_levi; @atelier_bingo; @jokemichaels; @a.oshea; @teklan; and @elo_____. HILDA GRAHNAT: What are you waiting for? Just do it! KATHERINE CARVER: What is next for Pet People Magazine? HILDA GRAHNAT: For our next issue we plan to venture outside Sweden, but we don’t want to give away too much just yet. (We will post a call on our Instagram and Facebook as soon as we’ve decided, so interested pet people should follow us!) 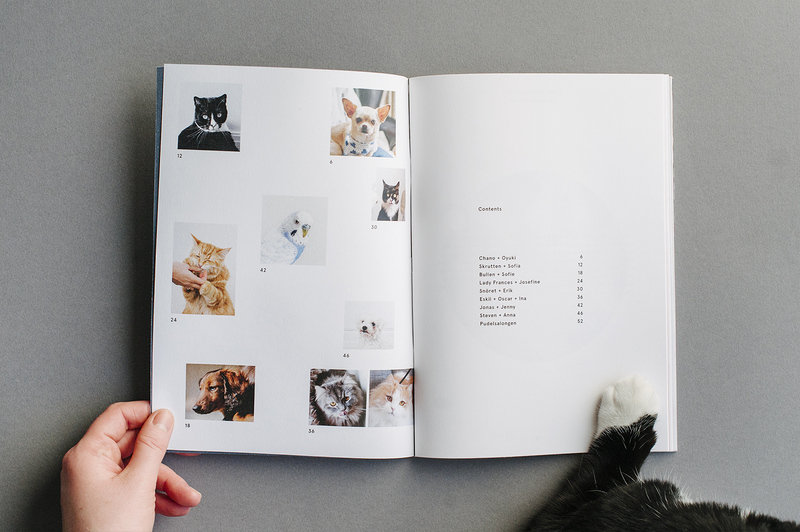 You can expect more heartwarming and funny stories and photos of cute pets being cuddled and coddled by their people, while you also get a glimpse of homes and city life in our next featured city. 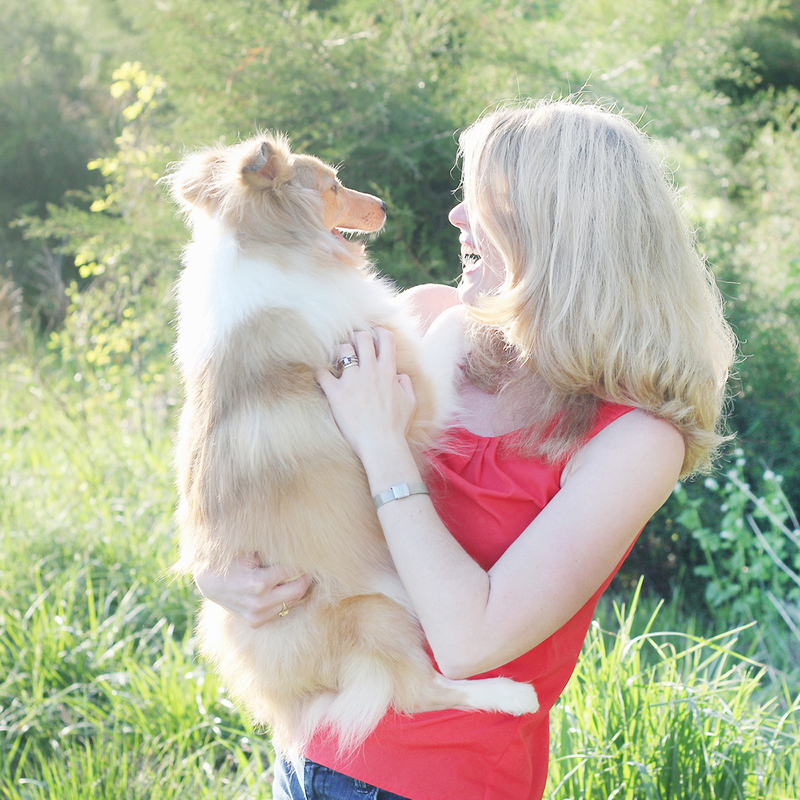 KATHERINE CARVER: How can people learn more about you and Pet People Magazine? HILDA GRAHNAT: We share outtakes, photos from behind the scenes, news, press articles, and other fun stuff on our Instagram @petpeoplemag and on Facebook . On our website, www.petpeople.se you can read more about us, find local stockists worldwide and order the magazine directly from our shop. All images contained in this interview are courtesy of Hilda Grahnat. This is such a great interview! I’ve always wanted to do something like this & seeing that people are making their dreams into reality is very inspiring. Thank you for the excellent read!